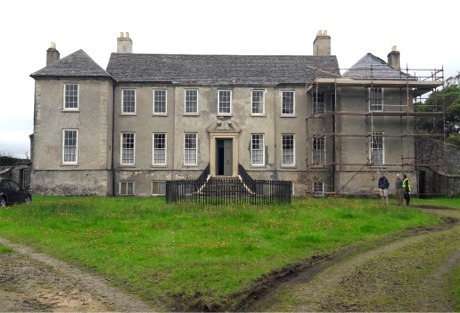 IT has been a great start to the year for County Donegal’s built heritage with €300,000 secured. In February it was announced that Church Lane in Letterkenny’s Cathedral Quarter is set to be transformed with an investment of €200,000 from the Heritage Council. In the last week Minister for Culture, Heritage, and the Gaeltacht, Josepha Madigan TD, announced that 13 heritage projects across the county will benefit from €92,000 under this year’s Historic Structures Fund (HSF) and Built Heritage Investment Scheme (BHIS) which will be administrated by Donegal County Council. In Inishowen, €32,500 has been secured for four heritage projects. Funding has been allocated for conservation works to the following structures: Dunmore House, Carrigans (€3,000), Dunree Lighthouse (€5,000) and The Old Fort Inn, Greencastle (€7,500). Funding has also been allocated for essential repairs and conservation works to Buncrana Castle (€17,000). Buncrana Castle was allocated €17,000 for roof works under the Historic Structures Fund 2019. It is one of most important and impressive early houses in Inishowen and was built in 1718 at the entrance to Swan Park. Speaking last week Minister Madigan said “I am delighted to announce these grant awards which will support the owners and custodians of our historic built environment. Our built heritage is at the historic heart of our communities". The funding will support the owners and custodians of historic and protected structures as they carry out small-scale, labour-intensive projects to repair and conserve our historic built environment.